Ignore the fact that I'm about a week late posting this new banger! Everyday the late Aaliyah is remembered in one way or another and Chris Brown continues to remember her legacy with his new single "Don't Think They Know". Breezy has been giving us teasers of this new single and video and has finally given us the final product and I am loving the song, not so much the video. 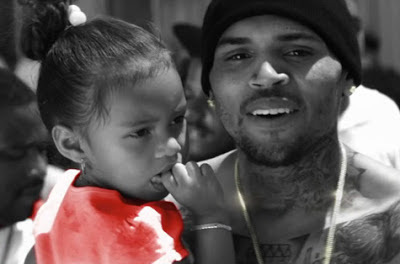 Chris Brown expresses the way he feels about society in America at this current state in this new video, with a never-before-heard hook from Aaliyah which she recorded before her death in 2001 at the age of 22. It feels good to hear Aaliyah on a new track and she is definitely missed in the industry today, remember Aaliyah with Chris Brown and others in the new black and white video to "Don't Think They Know" below.